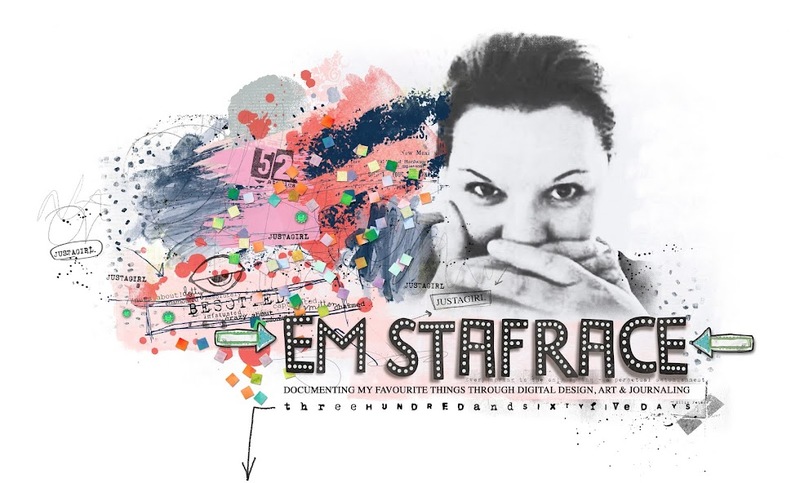 Em Stafrace| Just a Girl with Ideas: PAPER OR DIGI? 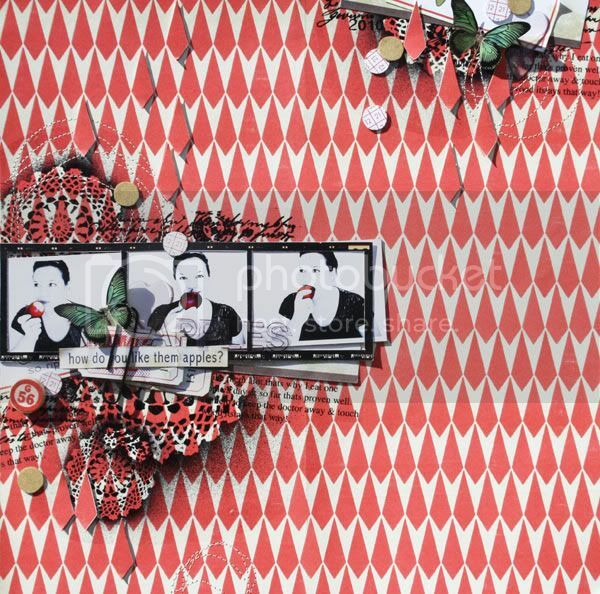 For the past couple of months of the U.S summer I have been a Guest Creative Team Member with Sahlin Studio another of my all time fave digital scrapbook designers. Krista loved the idea of me doing a hybrid project during my term so I did an article for Sahlin studio called 'Paper or Digi?' which was featured here. Step-by-step on creating a hybrid page. Don't you just love getting value for money? 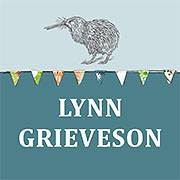 In times like these our economy is not so fantastic so many of us are tightening our belts when it comes to spending money on the little extras. But hey now you don't have to! Why not consider using those digital kits you are secretly hoarding and use them in a traditional scrappy way. This quick tutorial outlines some really simple steps on how to create a fabulous hybrid page that will shine just as brightly as any of your traditional scrapbook pages. 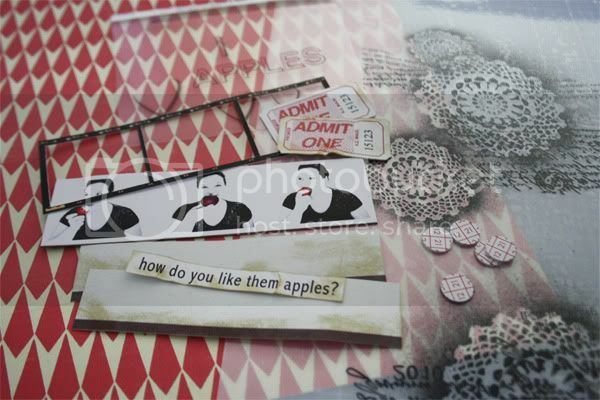 Here is the digi version of 'I love Apples' using the Apple Orchard Kit. I also used the doily stamp as a mask and misted the background using a free splatter brush from DeviantART. Oh and another tip you can find lots of cool public domain images of Butterflies at TheGraphics Fairy. Gotta love that! 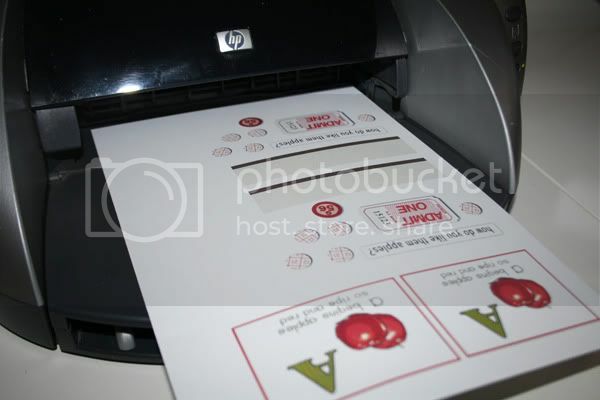 Print all your embellishments on a 200gsm cardstock. 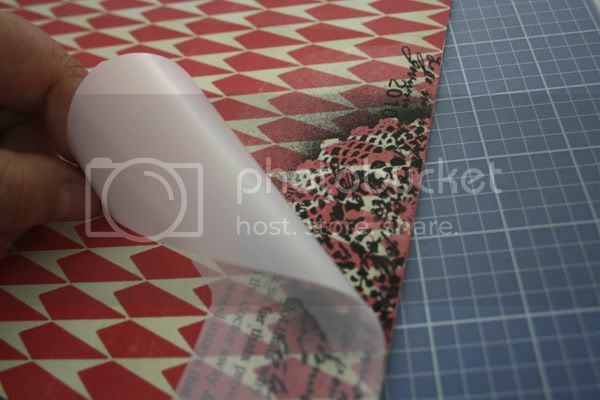 Ink and crumple the edges of your paper embellishments to grunge them up and make them more vintagy. 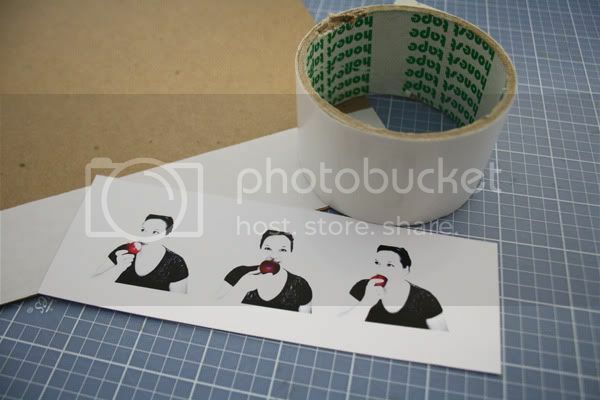 Mount your photo's on cardboard, this helps them become more rigid and also adds dimension to your page. 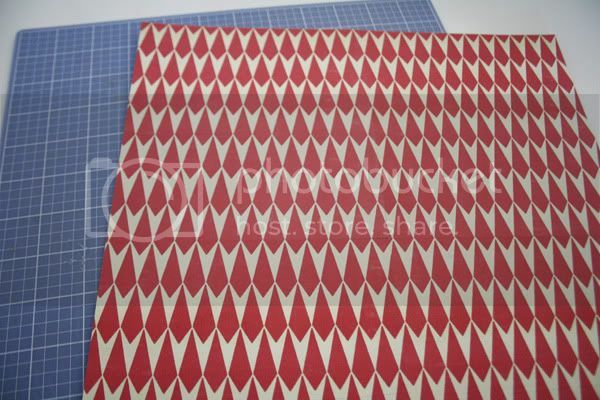 Line each edge up so the repeat pattern matches then tape the underside together to form a 12X12 traditional paper. 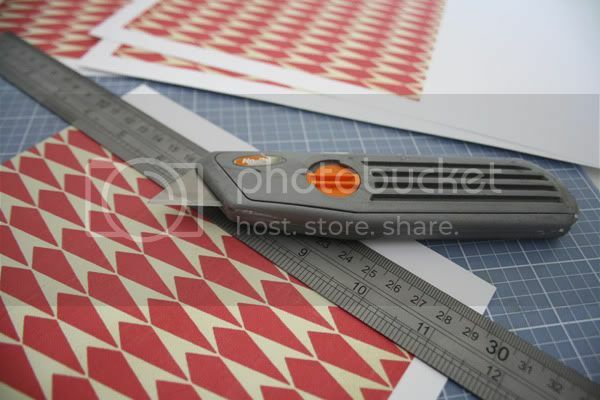 Now that all your embellishments are prepared you can begin constructing your page. 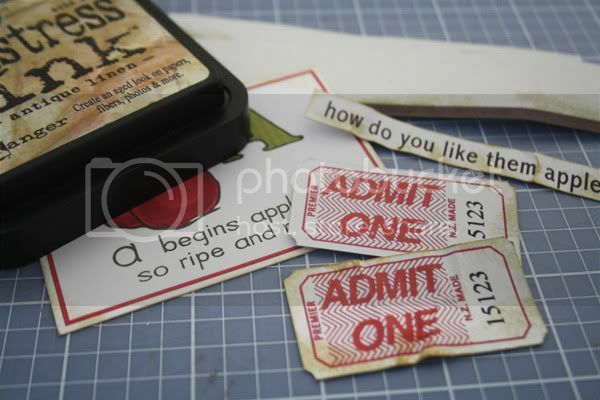 There is a great product called Grafix Rub-Onz which enables you to create and print your own customized rub-ons. Go here to see an indepth tutorial I did sometime ago on how to create with this product. 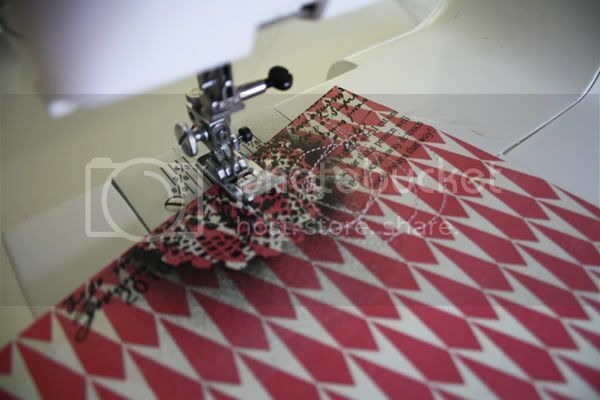 A little bit of machine stitching is lots of fun and adds an extra focal point to any project. 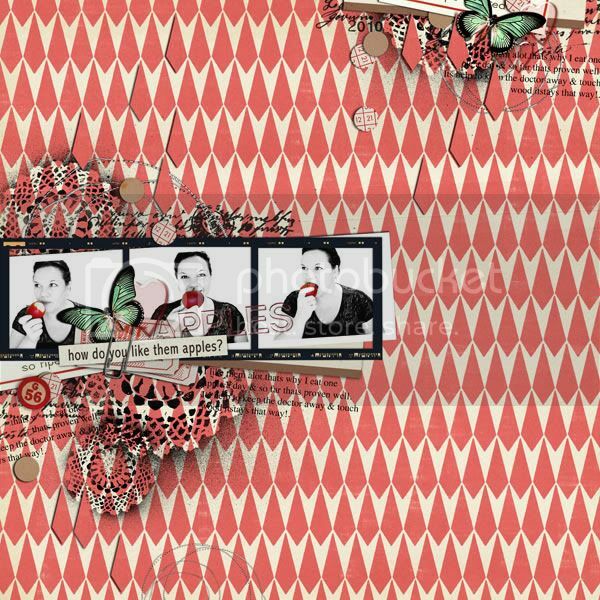 ...and here is the finished hybrid page using all the fabulous digital elements and papers from the 'Apple Orchard' kit. Hope you enjoyed this little scrappy adventure enough to give it a go and if you do you'll also think how fantastic it is that you can get even more use out of your digital kits, who'd have thought that was even possible! wow wow wow this Hybrid page is fabulous!! That's sooo clever....hybrid looks like fun....& your LOs always stump me....unless you say, I can never work out whether they're digi or RL or both....clever!!!! Hi Em this is fabulous! Love how you were able to do both and yet they both look fabulous! They are correct. This is FABULOUS! I am amazed at what you created with digi elements. Soooo gorgeous...the red just makes this project pop! Love everything about it! wowowow you so rock the Hybrid Emma this is AWESOME! !